When she meets a man who sets her heart racing, a girl can't help wondering, "Is he the one?" Unfortunately, there's no easy answer to the question and usually she's left to trust her gut feeling and crossed fingers to take her where she wants to go. Until now. 50 Ways to Read Your Lover calls on the wisdom of the ancient and the modern to help a woman get the lowdown on her lover. It feature typology tests and compatilbility quizzes drawing on dozens of disciplines and theories--from The Four Humors and the I Ching to handwriting analysis and birth order--to paint a picture of her true romantic prospects. 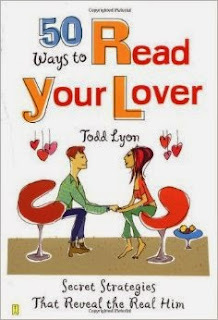 A treasure trove of pillow talk and parlor games, 50 Ways to Read Your Lover is a lively, powerful tool for a woman who wants to take the fate of her heart into her own hands.